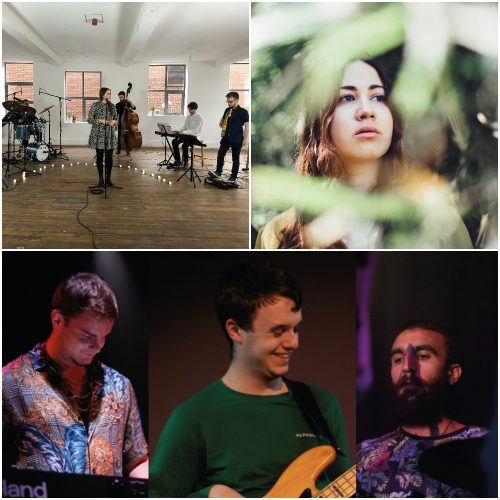 College Collection 2019 – Jazz Leeds presents the second of two afternoons, each with three stunning new jazz groups from the final year of the Leeds College of Music BAJazz course. Big Mo’s Big Trio pay homage many great composers renown for being years ahead of their time such as Oscar Peterson and Bill Frisell, and also modern greats such as Bob Reynolds and Dave Weckl. A fresh sound not to be turned a blind eye to. Ophelia is a sweet blend of atmospheric contemporary jazz and lyrical groove driven song writing, playing original music written by band leader and vocalist Lucy Everatt. Leeds 4 piece Nefaerious incorporate contemporary jazz styles with story led lyricism to create a distinctive and unusual take on song-writing with elements of Folk and Rock.